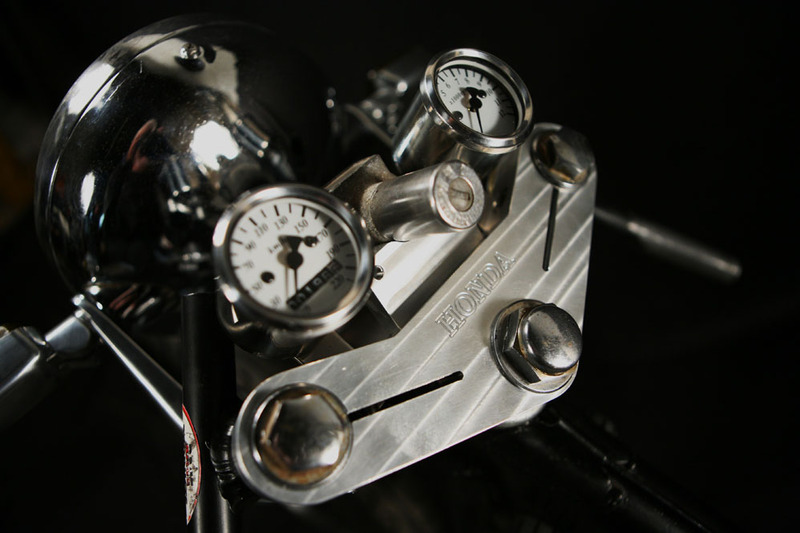 These Billet Aluminum Top Triple clamps will fit the Honda CB350, CL350 Twins (72-74), the CB/CL360 and the CB350F and CB400F. These triples are designed to take our Gauge Brackets for the stock instruments cluster or our 1.9” and 2.25” Chromed Mini Gauges. We also make a Dual Mini Gauge Bracket (for the 2.25″ Mini Gauges) and Key Mount Bracket so you can customize your new Billet Top Triple in several configurations.